If you've been in a cave for the last five years you've missed some amazing advances in Information Technology. 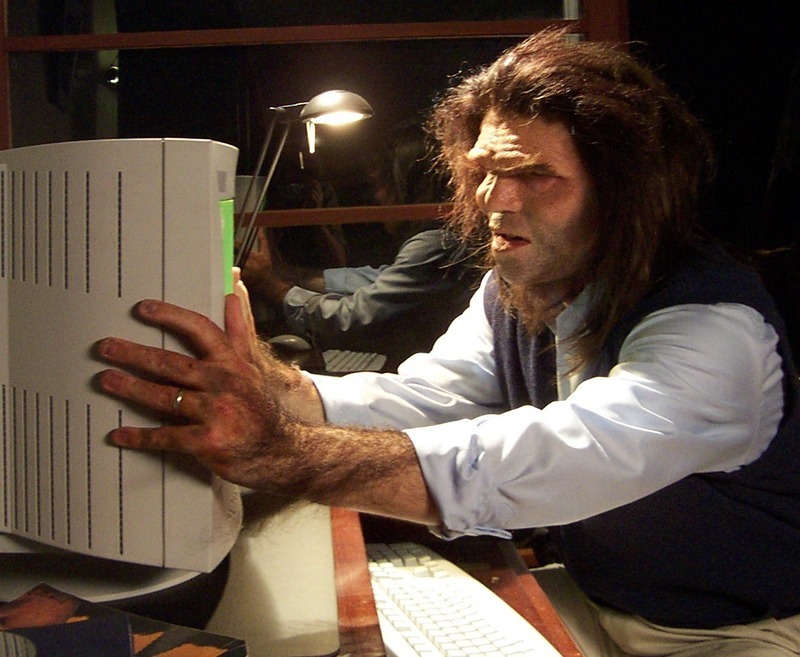 Yes, you are now an IT Cave Man! Most IT people know about Moore's Law (approximately every 18 months microchip density doubles - increasing computer speeds) but microchip advances are actually one of the least important stories right now. Five years is an eternity in IT and here's what you need to get caught up. Reader beware... this is a long, but not complete list. It would be difficult to impossible to cover all of the various IT advances in just the last year, let alone five! If you have a favorite tech you feel I left out and should not have please comment to let me know. Servers have come a long way since 2006. Quad-core CPUs are now standard and you rarely see a server with less than 8GB RAM. Blade servers became popular and then virtual servers revolutionized the whole category when you no longer required one server for one operating system. Finally, through virtualized hosted servers - once the homes of websites and ftp servers - became popular destinations for running software applications (SaaS), started providing platforms for developing and deploying services (PaaS) and hosting entire server infrastructures for customers (IaaS). Software and hardware advanced in lock-step with new features appearing to take advantage of the exploding CPU power, memory and storage on servers. With Windows Server 2008, virtualization became a part of the O/S in the form of Hyper-V and tools got better and better, eventually allowing for "servers" to be virtually deployed at a whim, without configuring new hardware. Cheap and easy virtualization from Hyper-V and VMware enabled the hosting of fully functional "servers" on the Internet, moving infrastructure offsite. As internet speeds increased, reliability was enhanced and better tools were developed, "cloud" services began competing with on-site servers... are the days of buying Windows and owning your own servers numbered? Server monitoring used to be the work for system vendors like Dell, HP & IBM. Their products are familiar to many and include OpenManage and Insight Manager. More recently Microsoft's System Center Operations Manager (SCCM) has offered a standardized and easily accessible solution. The latest trend however is to cloud-provided services. Already widely used by managed IT service providers, hosted Remote Monitoring & Management (RMM) solutions provide most of the same benefits without requiring the hosting of dedicated monitoring hardware and hiring a new team of IT experts to run it. Vendors like Level Platforms and N-able have mature products that provide onsite and hosted versions of their product suites. They also offer integration with popular service automation platforms, e-mail and collaboration software. Storage has revolutionized the backup and disaster recovery industry. Serial ATA hard drives combined with Serial Attached SCSI (SAS) enabled high-capacity, low-access storage that has either replaced tape backups altogether or is used in a nearline or near-online function. This has enabled backups to occur to intermediate, relatively high-performance media and then to be later archived to tape for longer-term storage if necessary. Often, tapes are totally removed from the system and the nearline storage becomes the primary archival medium. Backup software has also progressed. New technologies have enabled high-capacity storage media to store even larger amounts of data through impressive compression and now data deduplication. Through deduplication, similar or identical data is stored only once with changes being recorded only. In this way, two backup copies with only one bit of data changed only store the change rather than the full data set. Combining hardware and software in appliances, companies like Datto and Zenith Infotech started selling integrated backup systems that were remotely managed and would synchronize data to the cloud for an off-site copy. While these systems have proved popular in small and medium businesses (SMB), larger enterprises need higher-capacity solutions and the cloud-synchronization of data is as of yet too slow for larger datasets. Watch in the next few days for Part 2: Desktops, Laptops, & Mobile Devices. Those are good suggestions... Servosity is another one.